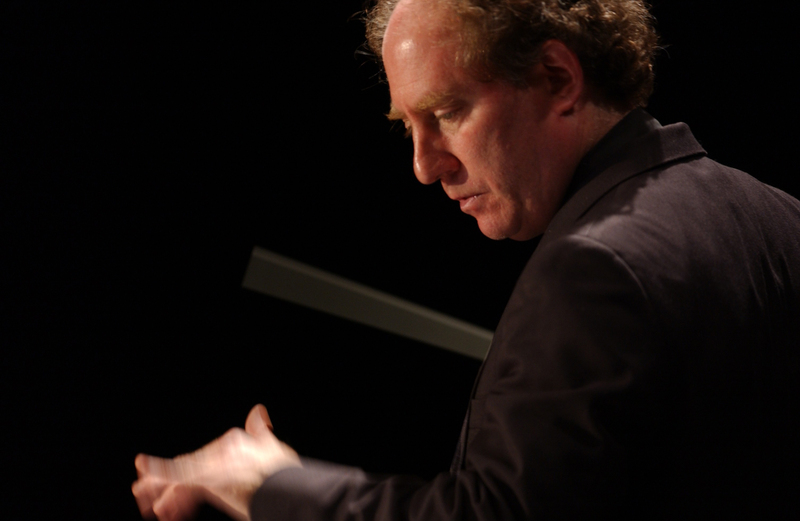 The Los Angeles Chamber Orchestra and their Music Director, Jeffrey Kahane, recently launched their penultimate season together in familiar fashion: offering works by living composers on the same program as old masters. It’s a very welcome habit that once again proved to be quite fruitful. The first half of this inaugural program of their 2015-16 season especially showed off LACO’s range, flexibility, and virtuosity. Opening the concert was the world premiere of Prisms, Cycles, Leaps by Derrick Spiva, a Los Angeles-based composer and former Royce Hall usher for LACO. 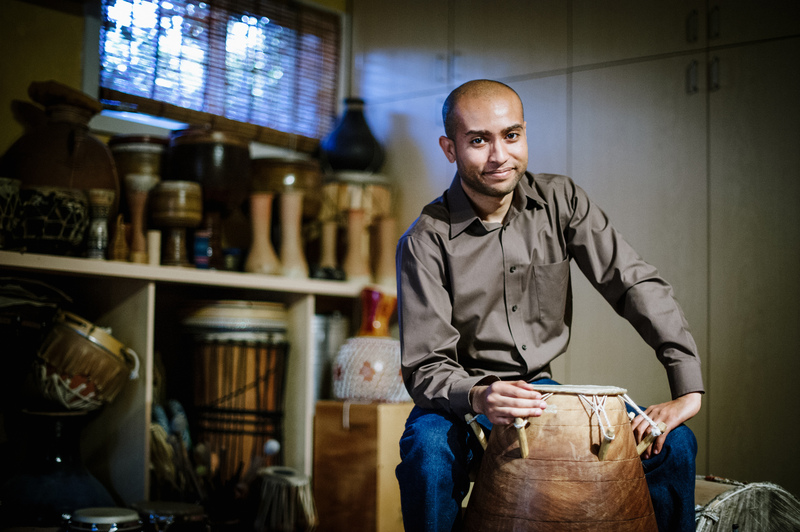 It is a piece dominated by complex rhythms, though melodies pieced together from various sources — West Africa, Northern India, even Hollywood, among others — are woven throughout. “I was searching for a specific style of music, and I was just buying hordes of CDs and going to Tower Records — which used to be open back then — and I was listening to all of these tracks because there were these slices of all these different soundtracks and different albums from different composers,” he remembers a bit wistfully during a video interview for LACO. Yet while he admits to a polyglot inspiration, his compositional language — at least Prisms, Cycles, Leaps —is all his own. The result was terrific, music that is tightly structured but feels freewheeling. His orchestration has a film-music familiarity to it, but not in a cloying way. The multi-cultural sources never sound contrived or forced to fit into a Western classical norm, but always are part of a greater, organic whole. The work expects a great deal from the musicians, and LACO delivered, showing off their responsiveness and virtuosity in spades. The audience welcomed the new piece warmly, giving it and its composer an enthusiastic ovation. The work was made possible through “Music Alive: New Partnerships,” a residency program of New Music USA and the League of American Orchestras. Let’s hope we hear more of Mr. Spiva’s compositions, regardless of who sponsors it. Schubert’s 8th Symphony was the contrasting work chosen to follow Mr. Spiva’s world premiere. While the “Unfinished” symphony is probably familiar to most classical music fans, these performances marked only the second time it has appeared on a LACO program, making it a treat of sorts to hear it on this occasion. Mr. Kahane led a performance that was moderate in pace, broad in shoulders, and rich in detail. The first movement was dark and moody without being overburdened by attempts at profundity. The second movement was lush and beautiful while avoiding excesses. After intermission, Michael Barenboim was the featured soloist in Beethoven’s Violin Concerto. 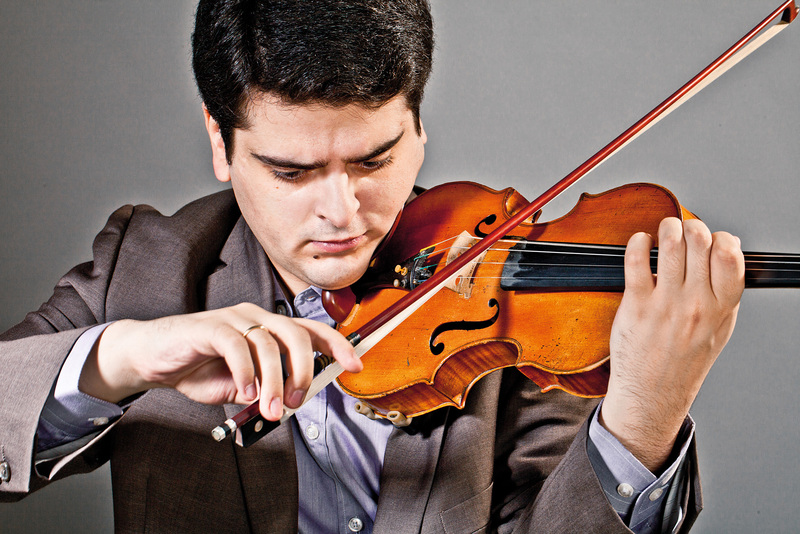 Son of the conductor Daniel, the younger Barenboim brought a lean tone combined with clean and accurate finger work to what was a very safe approach. Unfortunately, that did not make for a compelling performance. Granted, this particular Beethoven work has never been one of my favorites, though more persuasive performances have kept me from being bored, some even giving me genuine enjoyment upon its hearing. This was not one of those times. Most of the audience disagreed with me, offering a strong ovation to the violinist, to which he kindly responded with the Sarabande from Bach’s Violin Partita No. 2 in D Minor as an encore. The next pair of LACO concerts is this coming weekend and looks like another gem: a West Coast premiere from Timo Andres and a Haydn symphony joined by the Mozart Piano Concerto No. 18 featuring the ever-august Richard Goode and the Concerto for Marimba and Strings by Emmanuel Séjourné, with Wade Culbreath (LACO’s Principal Percussionist) as the soloist. I highly recommend it. Tags: Beethoven, Derrick Spiva, Jeffrey Kahane, Michael Barenboim, Schubert. Bookmark the permalink.